Welcome to 2018 and a year ahead of new art and artists work to discover. So how was your new year ? Sadly I’ve been out of sorts over the last 4 days with something far worse than ‘manflu’ and have been acting like someone twice my age with little to no energy, zero appetite and bouts of falling asleep throughout the day. Which really isn’t like me at all. Hopefully, the fact that my rough, raspy, bellow of a cough is turning into a bunged up nose, means that its slowly working it’s way out of my system.. hurrah, let’s hope so. I think it’s fairly typical that when we stop working (like we do for Christmas), that’s when we are often struck down with some lurgy or other.. hey ho. or should I say ho ho ho ! 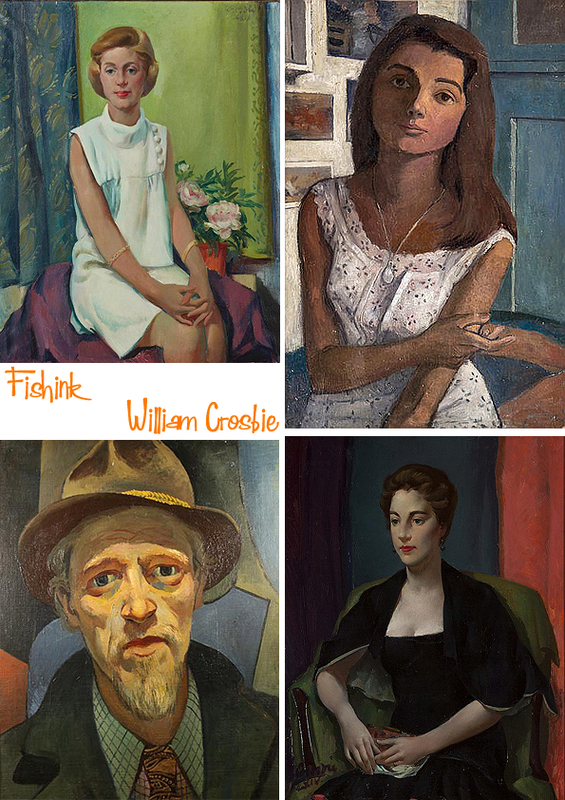 Anyway enough about that and let’s get onto cheerier issues and more importantly, the first of this year’s posts and the wonderful work of William Crosbie. 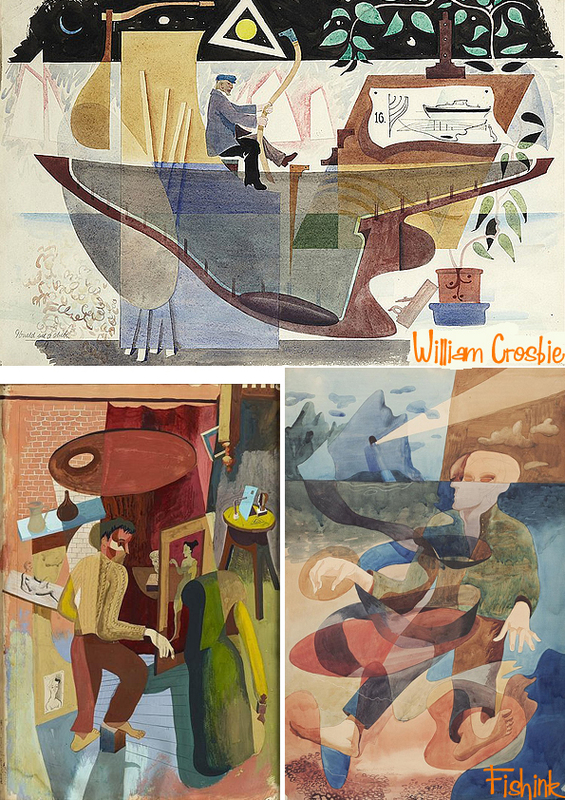 William was born in Hankow, China, in 1915, of Scottish parents. The family returned to Glasgow in 1926, where Bill attended Glasgow Academy and, in 1932, entered Glasgow School of Art. On graduating in 1935, he was awarded the Haldane Traveling Scholarship and set off for Paris, where he gained admission to the studio of Fernand Leger and was able to study under the master; he described his time there as ”one of my proudest experiences”. When his scholarship ended Bill was offered a job with the Archaeological Institute’s expedition to the newly excavated Temple of the Bulls and Temple of Sakhara in Egypt, where he copied the friezes on the temple walls. In 1939, Bill returned to Glasgow where he set up his studio at 12 Ruskin Lane, a studio originally designed for Sir David Cameron. 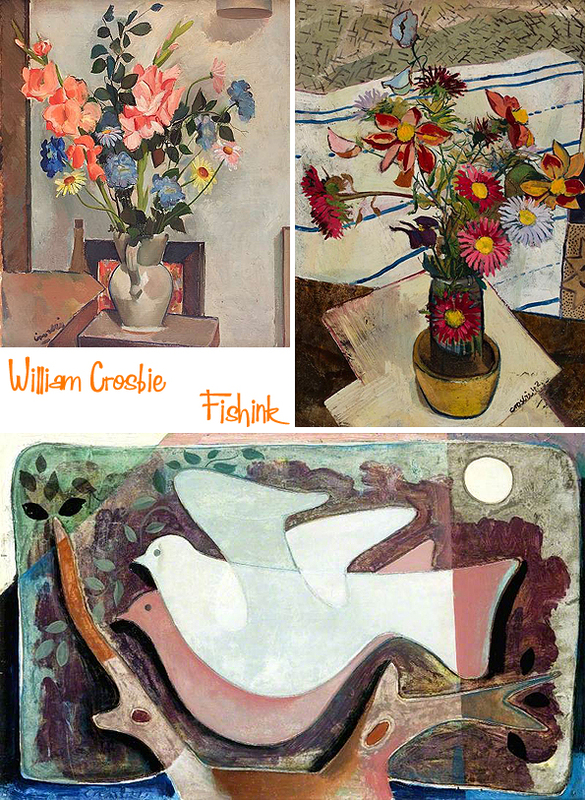 During the war he served in the Merchant Navy, though he continued to produce paintings through these years. He was also at the centre of what he once described as ”a little local Renaissance”, which included luminaries such as Hugh MacDiarmid, J D Fergusson, James Bridie, T J Honeyman, and Basil Spence. 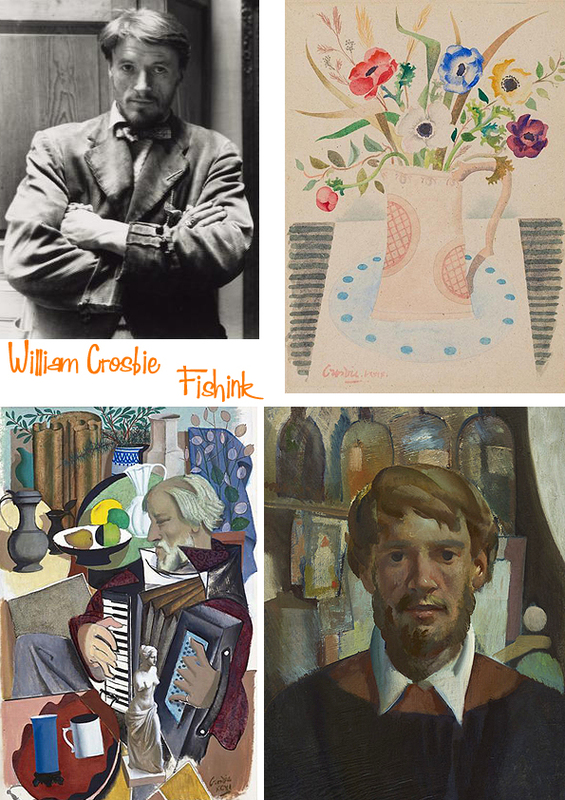 Other ”regulars” at his studio were the refugee artists Jankel Adler and Josef Herman, as well as Duncan Macrae (whose portrait by Crosbie is now hanging in the People’s Palace). After the war Bill made his London debut at the Reid and Lefevre gallery in 1946 in a joint exhibition with the English surrealist painter John Armstrong. 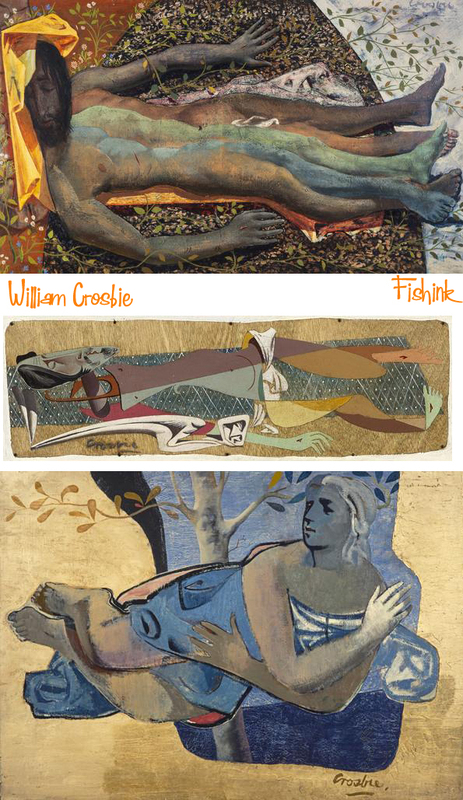 An important part of Crosbie’s work after the war were his mural paintings, largely commissioned through his association with architects like Basil Spence and Jack Coia. These included works for the ”Britain Can Make It Exhibition” in 1946 and the ”Festival of Britain” in 1951; there were also many murals and altarpieces for churches of all denominations. 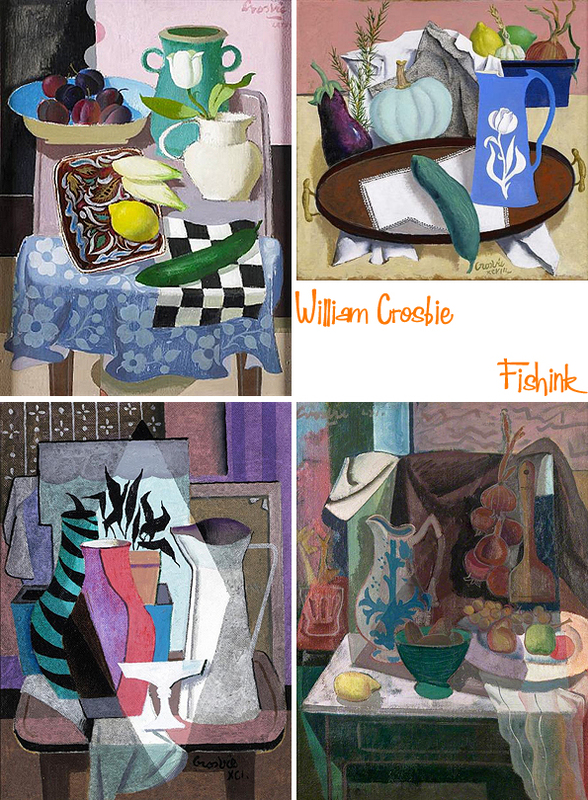 He was involved in book illustrations for the publisher William MacLellan and even designed the set of a ballet for George Chisholm. 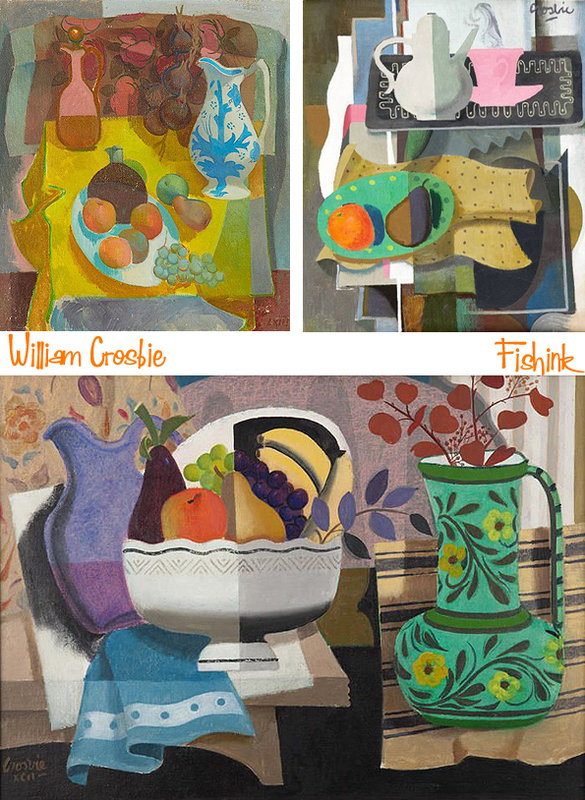 He exhibited on a regular basis with the Annan Gallery in Glasgow from the war until the 1970s and in Edinburgh with Aitken Dott’s. From the 1980s he showed with Ewan Mundy in Glasgow. Academic recognition came in 1953 with his election as an associate of the Royal Scottish Academy and subsequently as an academician. 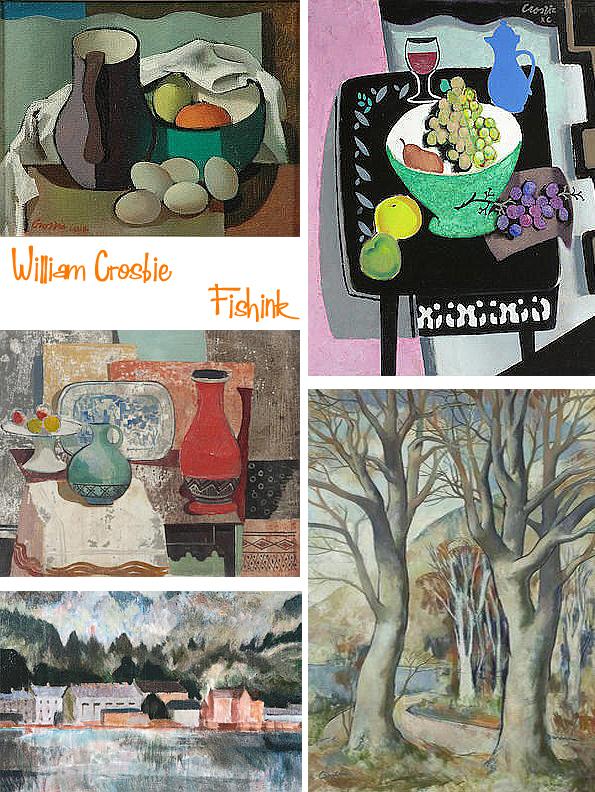 In Glasgow he was a proud member of, and annual exhibitor at, the Royal Glasgow Institute, and he was also a former president and long-time member of the Glasgow Art Club. 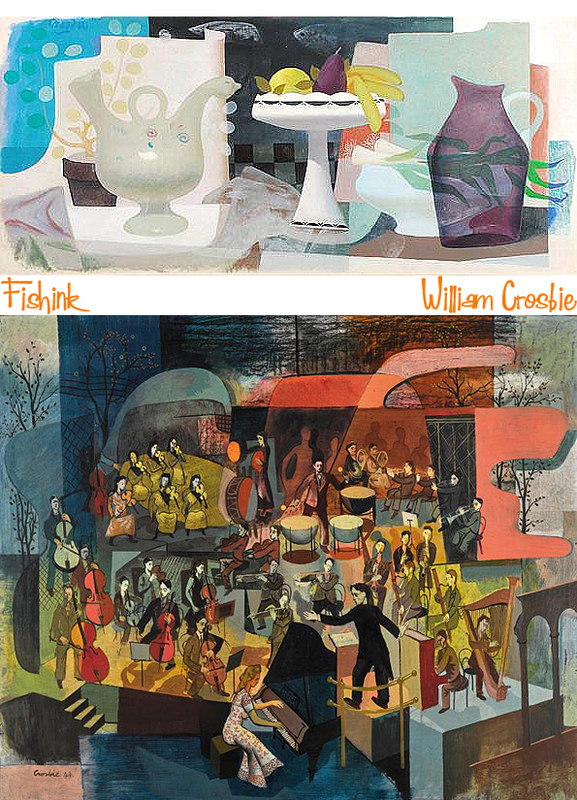 There were major retrospective exhibitions of Crosbie’s work at Aitken Dott’s in 1980, Ewan Mundy’s, 1990, and Perth Museum and Art Gallery, 1990. 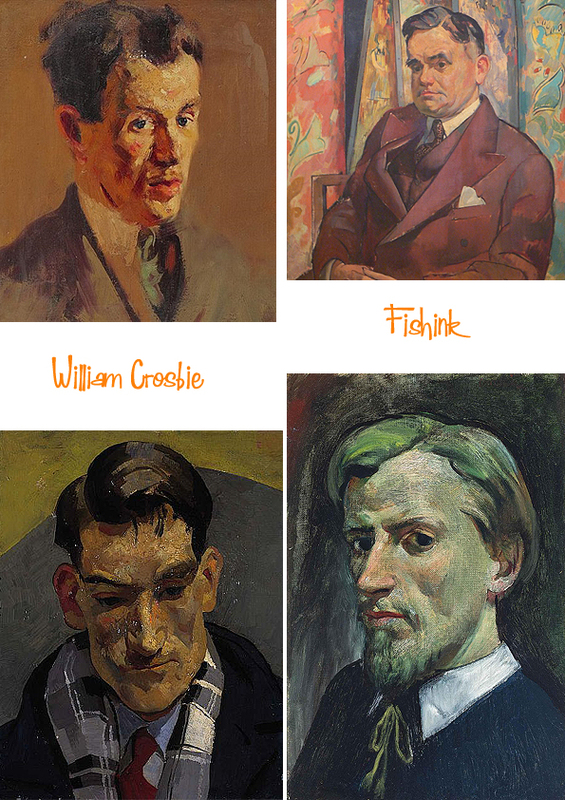 His paintings hang in all the major museums and galleries in Scotland as well as the Royal Collection and the British Museum in London, and in private collections throughout the United Kingdom and abroad. 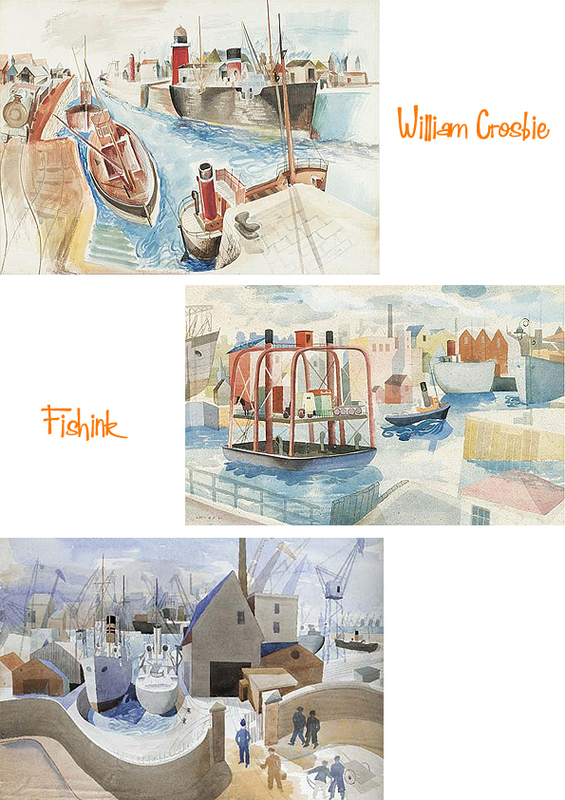 Some of his work has a flavour of Ravilious about them, like these watercolours below. 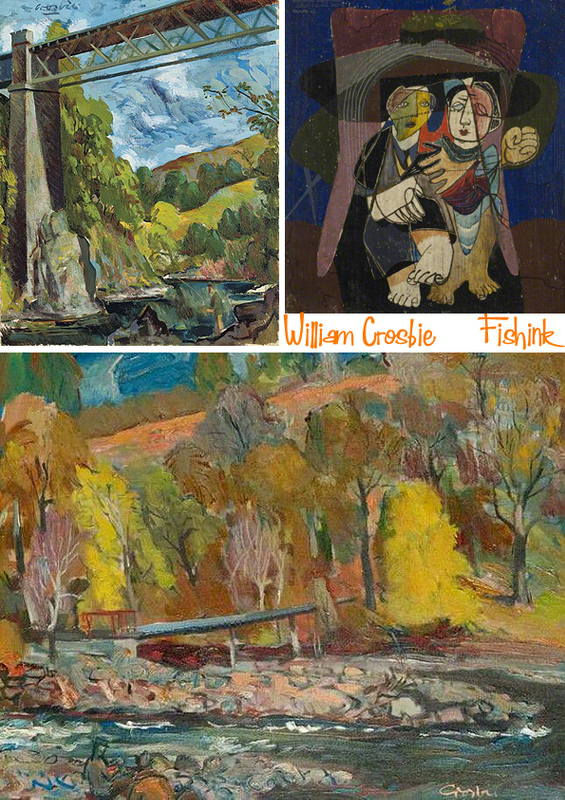 William’s own words are perhaps his best epitaph: ”Devotion to the muse and the life it has led me has meant I have enjoyed a richness of texture not readily to hand to the majority of my fellow citizens.” He was one of the finest and most singular Scottish painters of the twentieth century. He passed away in 1999 at the age of 84. 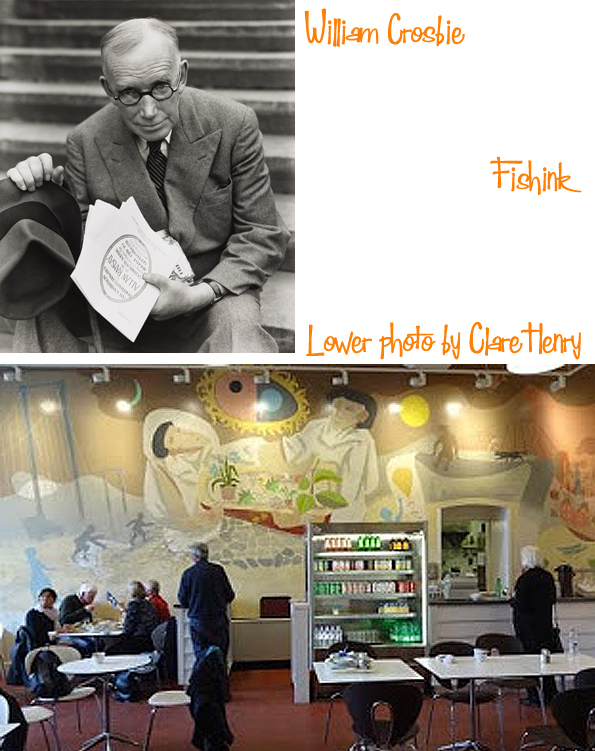 If you are ever in Edinburgh, take a trip to the City Art Gallery’s Cafe to view their beautiful commissioned mural, painted by William. Thanks to Clare Henry for the photo. What a fascinating article and an incredibly rich, creative life. Thanks for putting it together. Hope you feel better soon. Thank you Rachel. Glad you liked the post and cheers for the well wishes too. 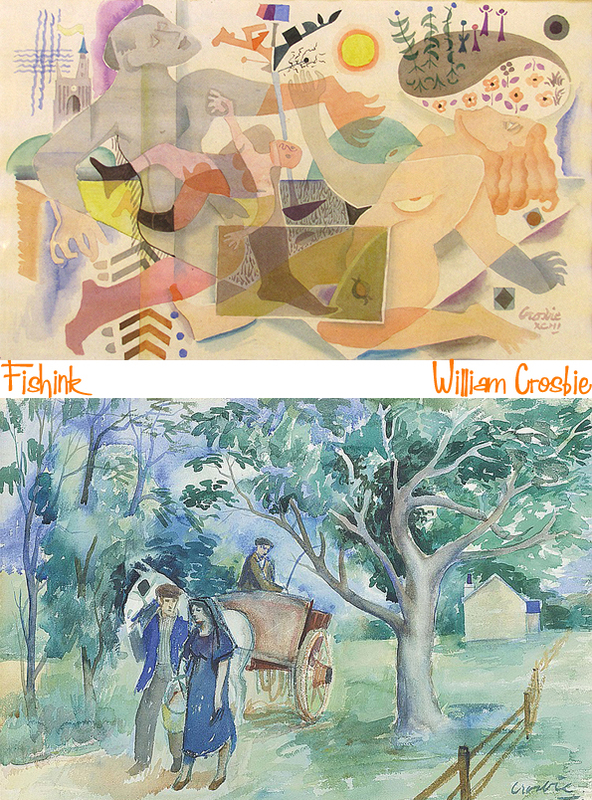 You can see how he was strongly influenced by Picasso in his early work, then he gradually developed his own rather luscious style – fascinating to see how his vision of the world evolved. Lovely work! How about a blog post one day on the superbly talented English illustrator, Errol le Cain? He was in his prime in the 1960s, and created some divine children’s picture books – my fave from my childhood would have to be his brilliant book – ‘The Cabbage Princess.’ from 1969 – I think you would really dig his flamboyant style! Hope you bounce back soon, Craig – and the dreaded ‘flu has flown! Rich and beautiful work. I could look at it for hours and find something new in each piece of work.